Season : Spring, Fall, Winter, Summer Silhouette : A-line Fabric : Net,Appliques Embellishments : Appliques,Beading,Sequin,Ruched Neckline : Sweetheart Hemline: Floor-Length Sleeve Length: Sleeveless Waistline : Natural Waist Back Details: Zipper Built-In Bra: Yes Color: Shown As Picture(color may vary by monitor) This beautiful dress is perfect for that upcoming special events, prom, evening party, graduation, military ball, homecoming, formal dance, or wedding parties.You can customize the dress according to your size and preference. 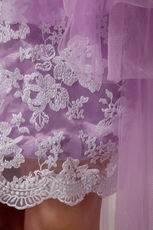 The price is just for the dress, and any other accessories in the picture, just like veil, jacket, etc, are not included. If you need one, please feel free to contact us.